Jeremy McCarter became a #1 New York Times bestselling author with Hamilton: The Revolution that he co-authored with Pulitzer Prize-winning playwright Lin-Manuel Miranda. His new project, Young Radicals, is the story of Americans fighting for their ideals in the era of World War I. In addition to writing books, he has written about culture and politics for New York Magazine, Newsweek, and The New York Times, and spent five years on the artistic staff of the Public Theater in New York. He studied history at Harvard and lives in Chicago where Stay Thirsty Magazine caught up with him for this Conversation. 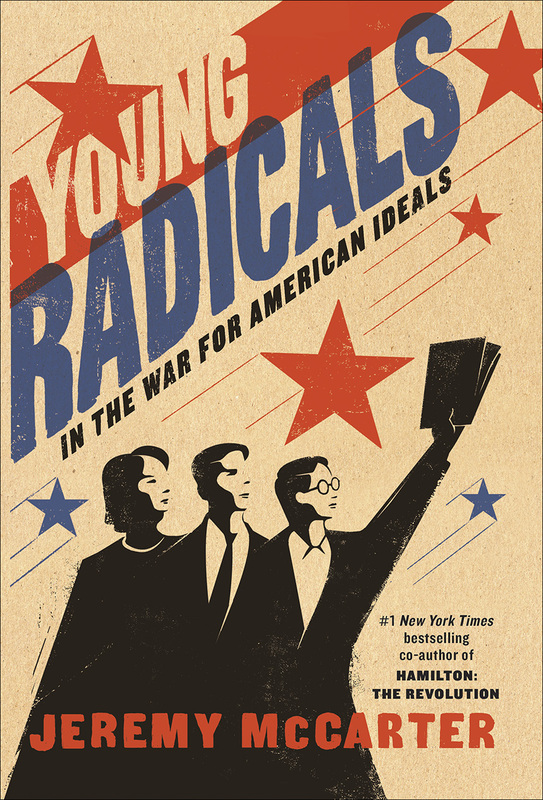 STAY THIRSTY: In your new book, Young Radicals, you chronicle the lives and careers of five young American radical thinkers who came of age around the time of World War I. You tell the story of their respective journeys as activists, intellectuals and troublemakers who spoke up for freedom and equality. What drew you to cast Randolph Bourne, Max Eastman, Walter Lippmann, Alice Paul and John Reed as the leading figures in your story? Why did you pick these particular people? 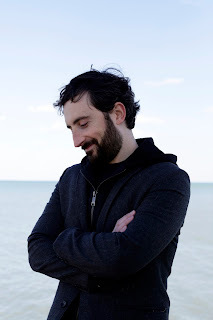 JEREMY MCCARTER: I wanted smart, brave, surprising people. I wanted people who were coming of age around 1912, trying to figure out their place in the world at the exact moment that the world blew up. I wanted people who didn’t just theorize, but jumped into the arena to fight for their visions of progress. I wanted people with a lot of social capital (for example, college degrees) because it meant they had a lot of reasons NOT to fight. And above all I wanted them to be good company, since they were going to occupy my brain for years. STAY THIRSTY: After spending six years researching and writing Young Radicals, what do you admire the most and the least about Randolph Bourne? JEREMY MCCARTER: Most: he’s a fearless genius prophet, the link between Whitman and Dr. King. Least: he could denounce the Victorian strictures he saw all around him without being able to rid himself of them. STAY THIRSTY: About Max Eastman? JEREMY MCCARTER: Most: his charismatic bravery when his ideals and even his life were under attack. Least: his blindness to what was really happening in Soviet Russia, which he only realized when it was too late. STAY THIRSTY: About Walter Lippmann? JEREMY MCCARTER: Most: his extraordinarily lucid and penetrating intellect. Least: his knack for departing a losing team just before it lost. STAY THIRSTY: About Alice Paul? JEREMY MCCARTER: Most: her mixture of strategic brilliance and literally death-defying willingness to see that strategy prevail. Least: the way she struck the (admittedly exceptionally difficult) balance between fighting for the rights of black women and keeping the support of white supremacists. STAY THIRSTY: About John Reed? JEREMY MCCARTER: Most: his instinctive sympathy for the poor, the weak, the suffering. Least: the way he lost some of his big joyous spirit amid his devotion to the Bolsheviks. STAY THIRSTY: Bourne and Reed both died at the age of 32. Eastman was 86 when he died, Lippmann was 85 and Paul was 92. Did dying young or living longer have any impact on the longevity or durability of their ideals? JEREMY MCCARTER: We’d have a different and better country if Bourne and Reed had lived longer, I’m sure of it. Nobody has taken the place of either of them on the American left. STAY THIRSTY: You write about a moment of great promise that your young radicals seized as the world was about to plunge into World War I. Do you see any similarities to today’s life and times? JEREMY MCCARTER: On election night in 2016, as it became clear that our hopes for the country and our understanding of the world were at least as faulty as the young radicals’ aspirations had been a century earlier, I emailed my editor to say that I felt that we were living my book. And that I felt nauseous. STAY THIRSTY: Are you personally optimistic or pessimistic about the next five to ten years? JEREMY MCCARTER: That doesn’t seem like an either/or choice to me. I’m optimistic about many things, like the rapid growth of renewable energy. I’m pessimistic about there being a quick or easy way to recover from this administration’s assault on the country’s best traditions. STAY THIRSTY: In your view, does history repeat itself or do the struggles of earlier times actually change the course of human events? JEREMY MCCARTER: Those struggles are the course of human events. We can build on what the young radicals did, or strike out in a different direction, but the fact of their struggle is part of our national DNA. One of its best parts, if you ask me.